Chiropractic care has helped millions of patients with a variety of health conditions. On your first visit you will receive a detailed consultation, health examination, and spinal X-ray. 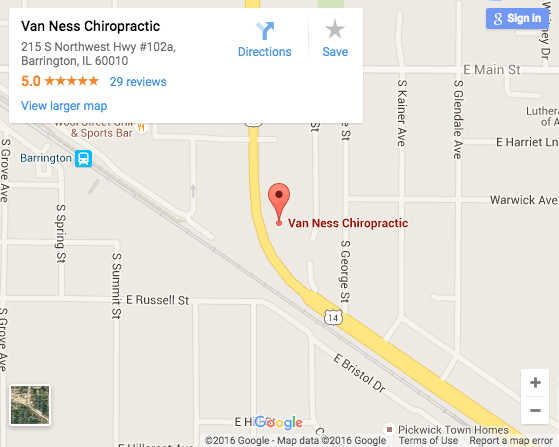 Dr. Van Ness and Dr. Parkin will then tell you if you are a candidate for chiropractic care. Chiropractic is a conservative and natural form of health care that concentrates on keeping people well. In fact, research has shown that patients under chiropractic care have stronger immune systems, and don’t get sick nearly as much as the normal population. Doctors of chiropractic attempt to get to the cause of a health problem, rather than just treat the symptoms. The primary focus of chiropractic is the detection, reduction and correction of spinal misalignment (subluxations) and nervous system dysfunction. The term subluxation is a technical way of saying a spinal segment is out of its normal position. It isn’t dislocated, but can affect the nervous system which controls the function of every cell, tissue, and organ in your body. Once a subluxated spinal segment is found, Dr. Van Ness and Dr. Parkin will use his hands to give a gentle, specific adjustment to the involved area. Some patients may experience a slight muscular acheness similar to starting a new exercise program. Most patients, however, experience no side effects and notice improvement following their first treatment. An adjustment often makes sound. The sound is air that escapes from the joint when it is moved. There is nothing that cracks or breaks. This sound is an indicator that the appropriate correction has been made, although not all adjustments elicit this sound. Stabilization and correction of a patient’s spine will be determined by the following factors: How long the patient has had the problem, the age of the patient, the amount of degeneration or arthritis of the spine (determined by X-ray analysis), and what type of work and exercise activities the patient does or doesn’t do. Why Should I See a Chiropractor If My Back Doesn’t Hurt? If you didn’t have a gas gauge in your car, how would you know if you were going to run out of gas? In the body, if you don’t check your spine to see if it is working right, then you have to wait for symptoms to develop and that makes the correction more difficult. Think of it as “preventative maintenance”. Why Should Children Have Their Spines Checked? Children have special needs. From birth on, a child’s spine needs to be checked. By adjusting a child’s spine the nervous system is stimulated, thus making the immune system stronger and more efficient. Dr. Van Ness and Dr. Parkin routinely care for children suffering from infantile colic, ear infections, bowel irregularities, digestive disorders, and many other childhood disorders. Dr. Van Ness and Dr. Parkin recommend against routine antibiotic use for children.